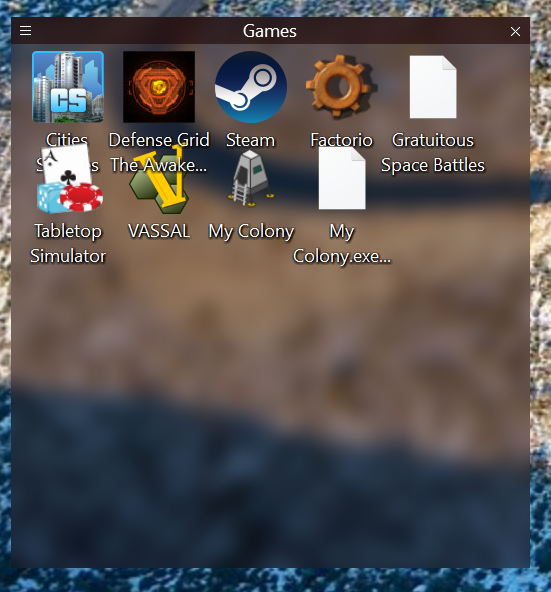 I've noticed that when waking the PC (Windows 10) from sleep, the fences icons get crowded together and lose their original spacing. See below. I've had them reset to the correct spacing occasionally, but don't know what actually caused that, aside from a reboot. Any commands available to force a reset of icon spacing? I'm seeing the same thing very often, and also it seems when plugging in or unplugging monitors, along with very long (up to 30 second) delays each time. And if put PC to sleep before the 30 second "moving/rescaling/restoring remebered position" that occurs whenever plugin or unplug a monitor (even if don't change resolution of screen fences are on) or after a change of resolution (regardless of whether Don't preserve or Preserve or Store my Fences per screen for Layout & Snapping > Layout auto-adjustments) then when PC wakes up from sleep, I end up with Windows Explorer / desktop frozen (with the waiting cursor shown when mouse over desktop or fences) forever and have to manually kill Windows Explorer processes. also try setting icon size to small or classic .